I’ve found myself somewhat in the middle of a Twitter storm and I wanted to address what all the hub-bub is about. Many of you follow me on twitter because we’re friends, or as part of the blogger community, and therefore have no knowledge of the archaeology world, except from my tweets and posts about heritage sites & digging in Italy. I’m now saying hello to a lot of new followers who have followed me with an archaeology background on the back of a tweet I sent to Cadbury UK. Yesterday, while I was scrolling through Facebook, I noticed a post to the British Archaeology Jobs and Resources (BAJR) page, where Dr Aisling Tierney shared her concern over Cadbury’s Easter Treasure Hunt marketing. After following the link, and having a snoop of my own, I was also outraged and took my anger to Twitter in the hopes of a couple of RTs to bring this to the attention of other (perhaps more influential) archaeologists. I was shocked to see the number of Likes and RTs have kept creeping up, and we’re now at over 500 likes in 24 hours. This response, although initially unexpected, is exactly what is needed, and shows the passion and outrage from the archaeology & heritage communities. I thought I’d use my platform as a blogger to bring this to light, not just in the archaeology world, but also for my regular readers who may not have a clue about what’s going on, and why this is a big deal. 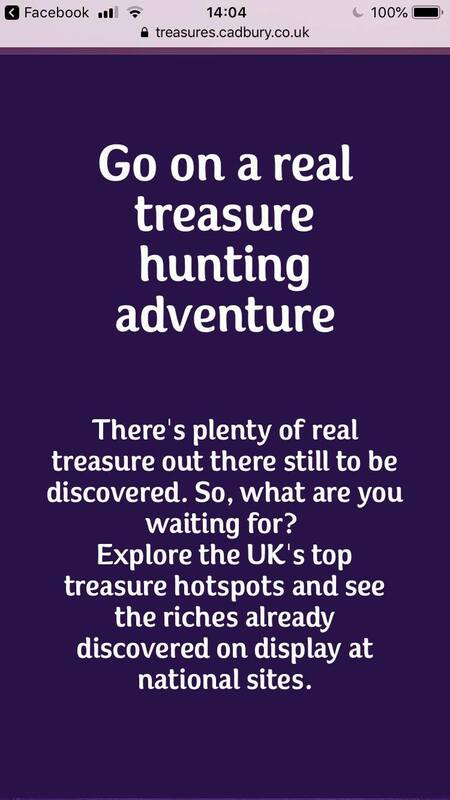 Cadbury have launched a 'Freddo Treasures' Easter Treasure Hunt campaign, where they’re encouraging kids to go out, “grab their metal detectors” and find some treasure for themselves. 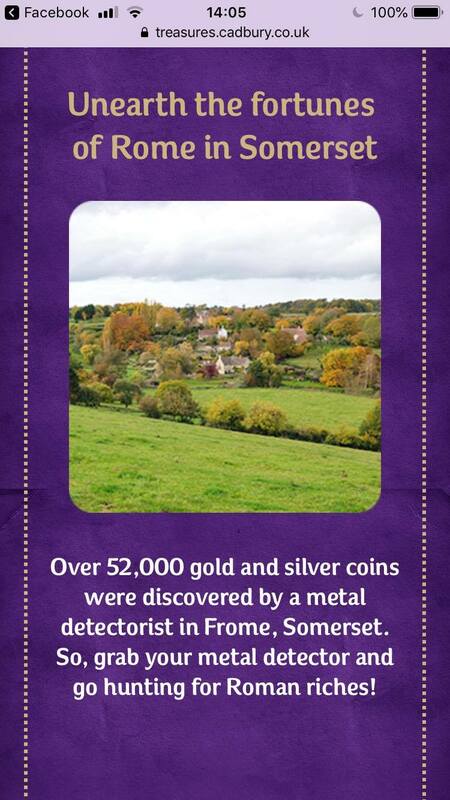 They’ve shared a series of sites in England and Ireland, some of which are protected landscapes, scheduled monuments, where it is believed artefacts, hoards etc, remain undiscovered. Citing that archaeologists have only found some of the expected haul of finds, they’re encouraging kids to go out to find the rest. The photos are accessed via a QR code on the packaging of their Egg boxes, which once scanned brings them to a webpage showcasing the “opportunities” for a “family adventure”. Dr Aisling Tierney stumbled upon this hidden campaign by complete accident, but has luckily shared this within the community to raise awareness. As I’ve experienced already on Twitter, most people out with the archaeology community and without a background in the discipline, don’t quite understand why this is a problem. It’s completely understandable - it’s why I’ve chosen Public Archaeology as a career path as I believe there needs to be greater discussion between Archaeologists and the public to address misconceptions like this. There’s a whole host of reasons why these activities shouldn’t be advertised and encouraged, especially without any consultation with heritage management organisations. As I’ve already said, digging on protected land & scheduled monument sites is illegal activity. These treasure hunts are encouraging kids to trespass on land, without acknowledging the ownership of the land or the fact that many sites are protected. These activities are in fact illegal and can lead to fines. Using a metal detector without a licence is illegal. 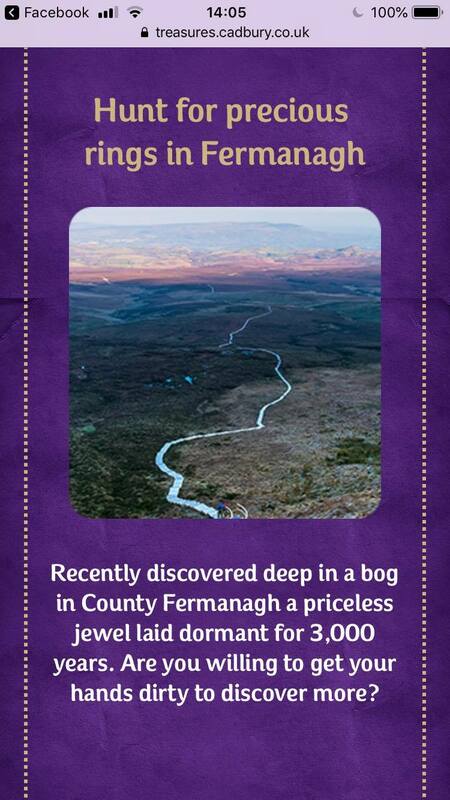 One of the sites which has been advertised in this campaign is in Ireland - Mooghaun Fort. As Dr Lorna-Jane Richardson states, metal detector activity without a license in Ireland can lead to fines of €126000 or 12 months imprisonment. The campaign is encouraging kids to find their own “treasure”. There has been no mention of the Treasure Act of 1996 where it states that all funds must be reported within 14 days of finding. In Scotland, all finds are property of the Crown. Understandably, Finds Liaison Officers are furious. Each artefact is important, and can be significant in terms of dating a site and understanding its use. The whole campaign completely disregards the whole archaeological process. Digging randomly in a field to find “treasure” is unethical, unsustainable and very bad practice. Before beginning excavations, archaeologists must research the area and secure funding / have enough funding to sustain activity and conduct risk assessments. I mentioned before the word stratigraphy. Archaeologists study the layers of soil, in order to date a site - i.e this layer dates before / after that layer. By just digging without thought, lots of archaeological data can be lost. Furthermore, excavations are documented, so that no information is lost - it’s a very thorough process in order to record and retain as much information as possible. Where an artefact is found - it’s exact location in the area & within the stratigraphy - can hold so much information for archaeological research. We’re tweeting and sharing this all over social media. Have a look at this handily compiled Twitter moment by @ProfArchaeoDeath. SHARE SHARE AND SHARE. We’re trying to get Cadbury’s attention, and want them to pull this campaign. Make a complaint. Here’s a link to the contact page on their website - write a complaint detailing why this is bad & dangerous practice. Cite some of these reasons in the complaint - we need to educate them! Or write to the CEO of Mondelez, who owns Cadbury. Her email is:mary.barnard@mdlz.com - but remember to keep this polite & respectful. Report the campaign to ASA. It’s the rules that everyone, from brands to bloggers, have to follow when it comes to advertising. Cadbury are promoting illegal activity - this clearly goes against their rules. What other ways can I get my kids involved in archaeology? It’s great that you’ve asked. There’s SO many local activities that you can be involved in. I’ll update this post with community digs, that you / your kids can join in and get a feel for the archaeological process and learn best practice techniques that will set you up for a career in archaeology. YAC - Young Archaeologist Clubs are a great way to introduce your kid to archaeology. When I was 7 I joined YAC and absolutely loved every meeting. Have a look here to find your local YAC. Keep an eye on National Trust, English Heritage, Historic Environment Scotland for activities and events that have been created with kids in mind & are safe and fun ways to engage with archaeology. If you’ve got a community project / dig that you’d like shared here - let me know & I’ll add it to this post. I hope that this has been informative for both my archaeologist & non- archaeologist readers. It’s so important to raise awareness and encourage discussion. If Cadbury had worked in collaboration with heritage / archaeological organisations, this could be a very effective campaign. We’re all for encouraging kids to get involved in archaeology - but this shouldn’t be lead by a chocolate company who has paid no attention to laws or archaeological processes & research. What do you think - let me know in the comments below what your stance on the matter is? Be sure to have a read of Dr Aisling Tierney's response to this campaign on the BAJR website here. LOVE IT ! Great article and hit the point!